Mardi Gras, which translates into Fat Tuesday, is the Tuesday before the beginning of Lent, also called careme. Careme is the 40 days of repentance before Easter that begin on Ash Wednesday. Ash Wednesday in France is pretty much the same as observed in the US: afternoon mass is attended during which worshipers' foreheads are marked with ashes. The French Mardi Gras was designed as a last day of excess and celebration before the long period of atonement. Mardi Gras is a celebration that is centered around children and has nothing to do with the common appreciation of the word here. No drinking or beads are involved! Children dress up as their favorite characters and are allowed to wear their costumes in school. During recess, a parade of costumed children is usually organized so everybody can join in the fun. Some towns have more elaborate parades including floats and marching bands but since Mardi Gars is not a non-working holiday, this tradition is progressively disappearing. Nutella then folded or rolled and eaten with fingers. A good crepe has to be flipped during cooking and some people believe that one should hold a gold coin in your left hand while you flip the crepe in the pan with your right hand all the while making a wish. If the flip is successful, the wish becomes true. Crepes are also served at mi-careme, which is on the 20th day of lent. Place the flour in a mixing bowl and dig a well in the middle. Add the eggs and the oil in the well and start slowly mixing from the center to the sides. It's important that you mix slowly adding only a little flour from the sides at a time. This will prevent lumps from forming. When all the eggs and the oil are absorbed, start adding the milk slowly, using the same technique. Another way of mixing the dough is to put everything in a blender and mix until smooth. It's faster but you might still get lumps. The batter should be fairly liquid at the end. It will be a lot finer than pancake batter. It's ok to add some water until you reach the desired consistency. 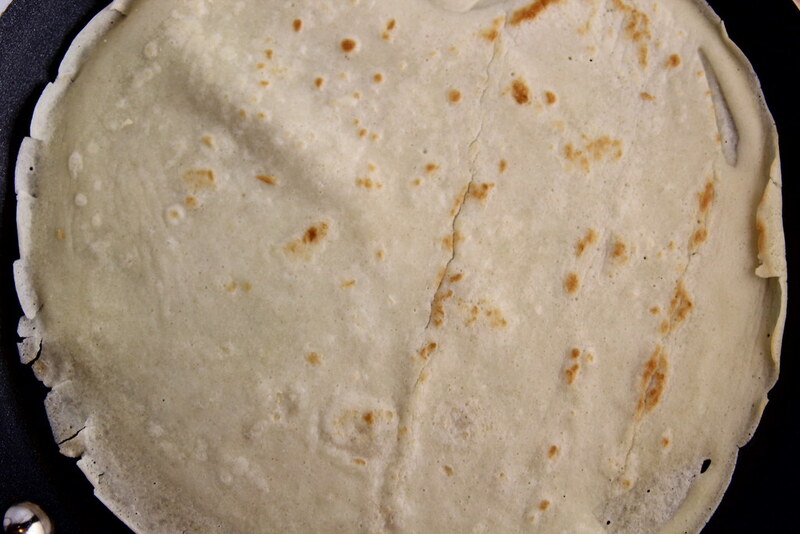 Pour some oil on a paper towel and run it on the bottom of a hot pan roughly the size of a desert plate. Pour about 1/4 cup of batter while turning the pan to spread the batter in a fine layer evenly in the pan. When the crepe starts to form bubbles, it's time to flip it. You can use a spatula or flip the pan up. It's up to you. Don't be discouraged if the first crepe does not turn out right: the first one always fails. 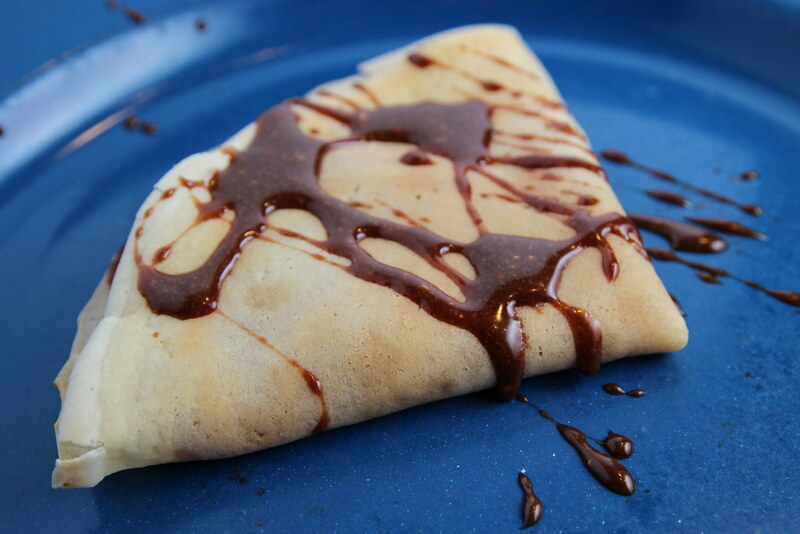 You can eat the crepe with just some sugar on it or get spread some jam or Nutella. You can roll the crepe or fold it, both methods are deemed acceptable to properly eat your crepes!